Erin Wood is an attorney at Waters Kraus & Paul in the Dallas office. Erin focuses her practice on asbestos litigation, product liability, toxic torts, and personal injury cases. 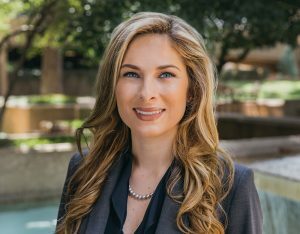 Erin earned her bachelor’s and master’s degrees from the University of Texas at Austin, where she majored in Plan II Honors, Business Honors, and obtained her master’s in Professional Accounting. She earned a Juris Doctor degree from Southern Methodist University School of Law. While there, Erin served as Executive Editor of the SMU Science and Technology Law Review and was Chief Counsel of the SMU Small Business Clinic. She was admitted to the State Bar of Texas in 2011 and is also accredited by the Department of Veterans Affairs. Erin has been recognized for inclusion on the 2018 Super Lawyers Texas Rising Stars list, published by Thomson Reuters, Legal. 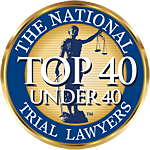 Erin is a member of the Dallas Women Lawyers Association, The National Trial Lawyers: Top 40 Under 40, an invitation-only honor, The Texas Trial Lawyers Association, and the Junior League of Dallas. $8.45M Mesothelioma Verdict for Career Pipefitter in Calif.
$9.2M Verdict in First Hip Implant Case Against Zimmer, Inc.